The WordPress comments section is a place to engage with your audience and let them interact with one another. This can improve the overall quality of your site, and make it a go-to place for industry-related discussion. However, one thing that many blog owners don’t seem to have a handle on is proper comments section management. By managing your blog’s comments, you ensure the conversation stays on topic. It can also promote a friendlier and more interactive place for your readers to share their thoughts and insights. Fortunately, there are plenty of techniques you can employ to make sure your WordPress comments section is a consistent hit with visitors. In this guide, we’ll offer some practical advice for staying on top of your comments section. Before this though, let’s discuss why comments are such an important consideration! WordPress comments are essentially the way readers interact with one another, as well as ask questions on the article they’re reading, and network with industry readers and experts. As such, it’s a diverse area that needs to be nurtured. You ensure each comment (and therefore the conversation) is engaging and appropriate. It makes your blog appear active and, more importantly, it shows you’re an active participant in the content you produce. You can protect your readers from spam or malicious links. You can reap these benefits, and many more, by implementing various management tactics across your WordPress site. Let’s discuss a few of them now! The three tips we’ll introduce aren’t in any particular order. However, we do recommend implementing all three eventually if you currently don’t. The comments section is a great place for readers to interact and ask questions. While you may want these interactions to mainly occur between readers, it’s also a good idea to respond promptly to comments to prevent inactivity and keep the conversation going. A buildup of unanswered comments can make it seem as if your blog is inactive, which can reduce the number of readers who comment on and share your posts. If you don’t have the time to respond to continuous comments, you can always disable them on existing posts. This will help you to get caught up and will prevent further buildup. Scroll to the bottom of the Edit page and, under Discussion, uncheck the box next to Allow comments. Then Update the post and you’re all set. Alternatively, you can disable comments for existing posts in bulk. We’ve actually talked about how to do this in a previous post, and we encourage you to check that out for the step-by-step guide. For even better results, you should respond to the most popular comments first. 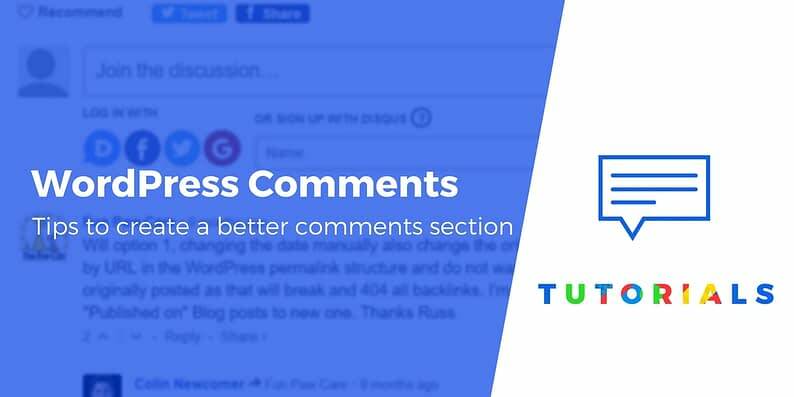 By using a WordPress comments plugin, such as Comments Like Dislike, you can learn which comments are the most popular among your audience. By responding to these first, you’re likely to see more interaction among readers. Unfortunately, comment spam is rampant across the internet. If not handled promptly, comment spam will decrease the number of actual readers who comment on your posts or share them with their networks. It can also negatively impact your rankings in Google due to the high number of links or otherwise ‘spammy’ content. It’s easy to hold comments for moderation on WordPress. One way to do so is by setting moderation keys to limit the number of comments that are sent through to moderation (saving you time). 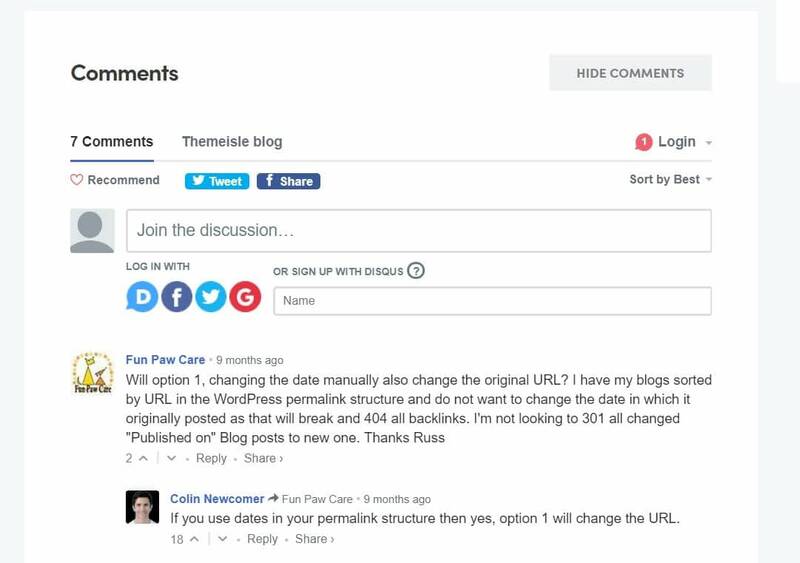 You can also manually enable Comment Moderation on the WordPress dashboard. Just navigate to Settings > Discussion > Comment Moderation on the dashboard and check the box next to Comment must be manually approved. As the website’s owner and moderator, you have access to a number of key features that make personalizing your comment section simple. These include how comments appear to readers, whether readers can get notifications for replies, and more. When you personalize your blog’s comments’ section, you can use it to improve the way your readers interact and communicate. This is great for maintaining an active section on each of your blog posts. 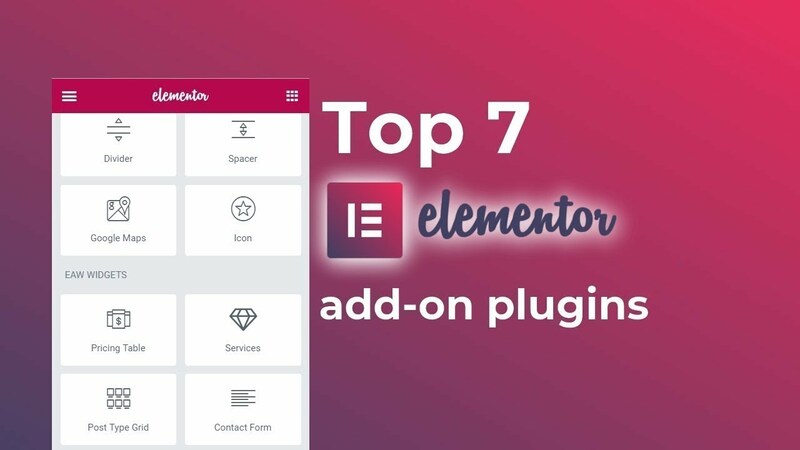 If you find yourself wishing you had more functionality, you can also find dedicated WordPress comments plugins that can add a range of new features. As a blog owner, you should provide an engaging environment in which your audience can interact. After all, the comments section is where readers can share their thoughts and insights, as well as ask burning questions about your content. This is why it’s important to manage your WordPress comments effectively. 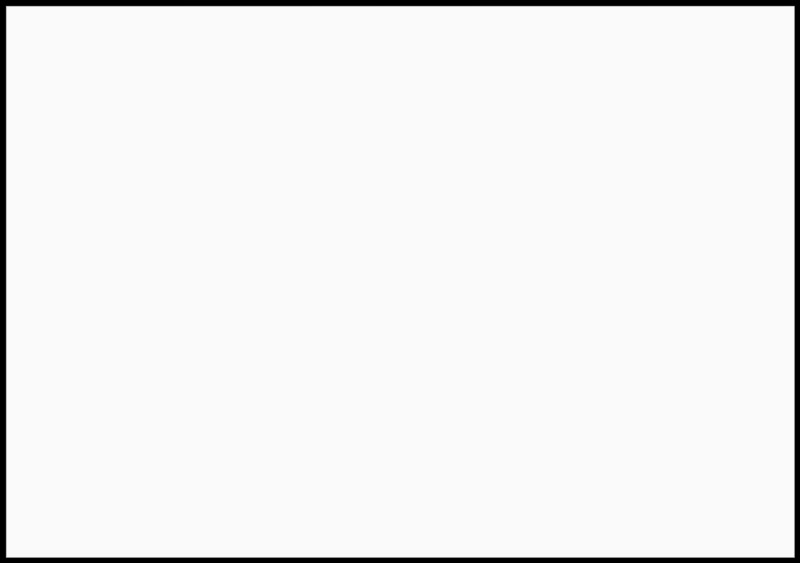 Responding to reader comments promptly to prevent inactivity. Holding comments for moderation to prevent spam. 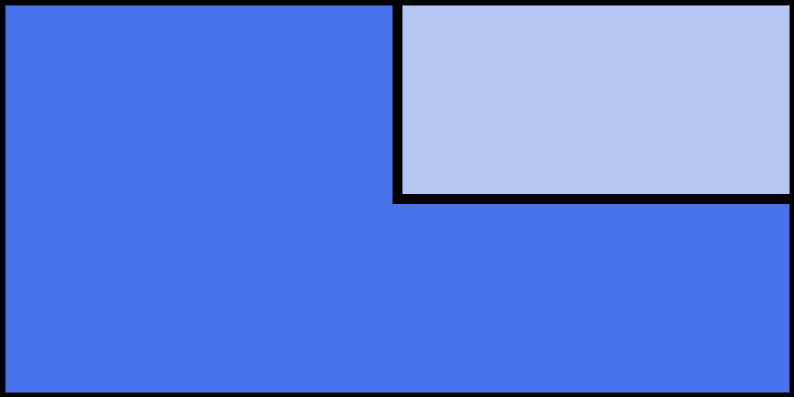 Enabling and disabling key features for improved interaction. Do you have any questions about effectively managing the WordPress comments section? Let us know in the comments section below!